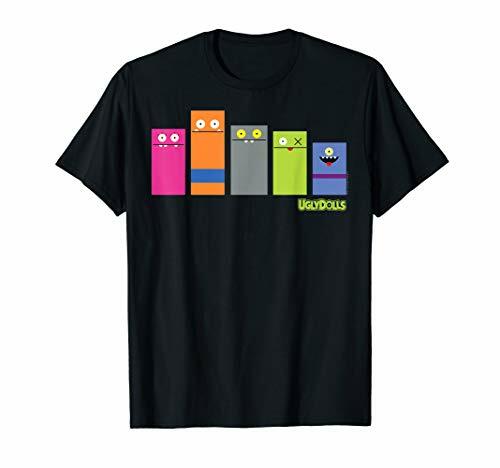 Getting your children around music of all types is a great way to get them interested in music for life. One option is coming up soon: the FREE Viva Vivaldi! Free Family Series at the Children’s Museum of Southern Minnesota in Mankato this Saturday, April 20th at 3 pm. Each season, the Mankato Symphony Orchestra gives four shows designed to introduce young children to the delights of classical music. Each show is hosted by an actor in costume and the MSO String Quartet. Concerts have a runtime of approximately 45 minutes and are performed without intermission. Besides the concert, the entire venue and its surroundings will be filled with numerous child-friendly activities. Show up an hour early to get free admission to the Children’s Museum and get the wiggles out before the show! 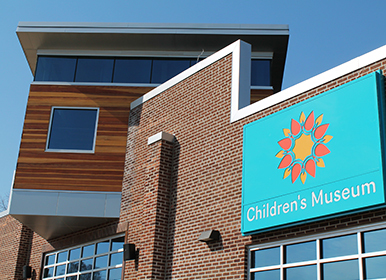 The Children’s Museum of Southern Minnesota is located at 244 Lamm St in Mankato. 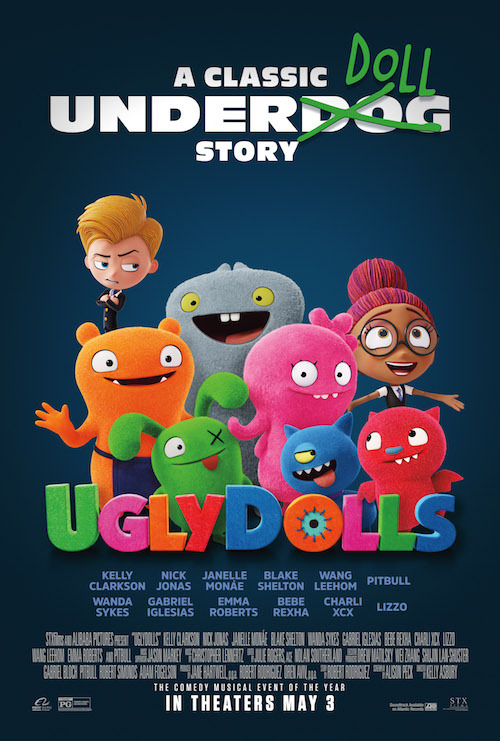 Another UGLYDOLLS Movie Advance Screening! In case you missed the passes for the other advance screening, you have another chance, this time at Showplace ICON. 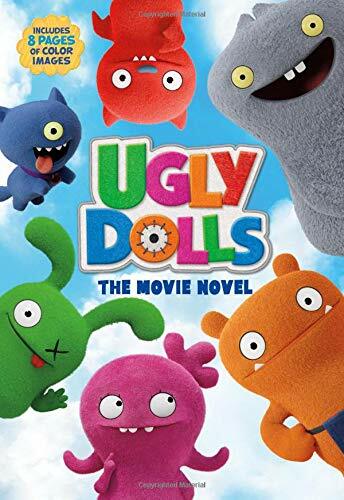 So, they might be called UglyDolls, but the UGLYDOLLS movie looks SO CUTE! 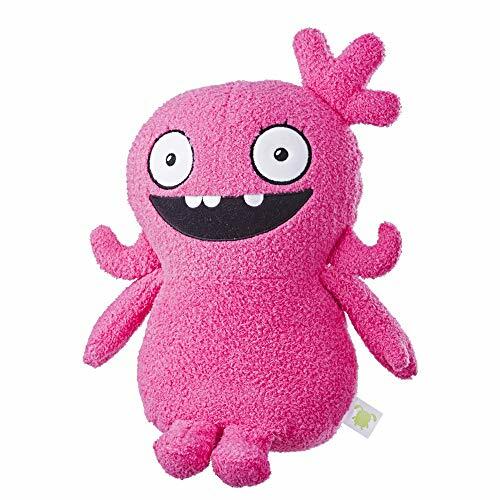 Actually, if you ask me, UglyDolls are darn right adorable! The movie is coming to theaters on May 3, but you and your family have a chance to see it EARLY with an advanced screening. Keep reading to get your passes. 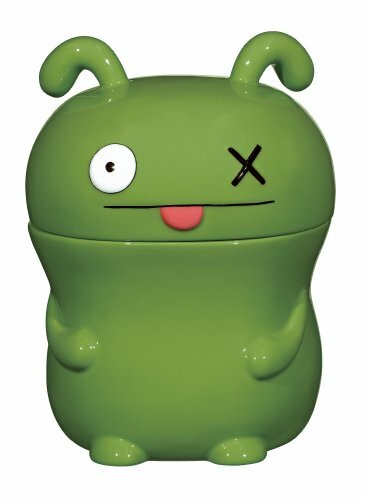 Want early notification of upcoming advance screenings? Follow our Facebook page, Twitter and Instagram and sign up for our e-mail updates! 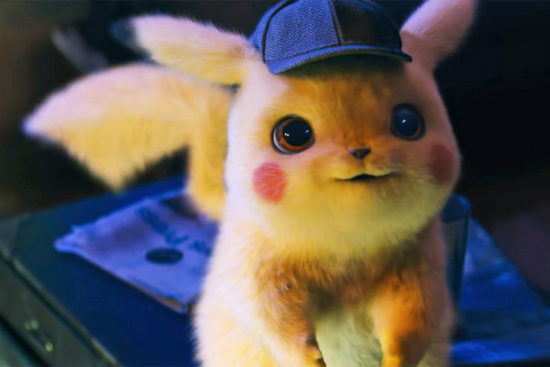 Detective Pikachu is coming to the Mall of America on Saturday, April 20th from 10 am – 2 pm in the Rotunda! Enjoy Pokémon-themed activities and the chance to win prizes and free tickets to see the movie. Come dressed in your best Pokémon costume and be entered into an hourly raffle for the chance to win even more cool prizes! No face masks allowed. 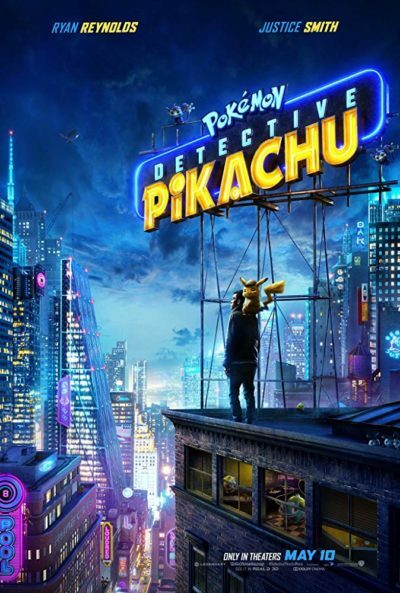 POKÉMON Detective Pikachu opens in theaters May 10th! 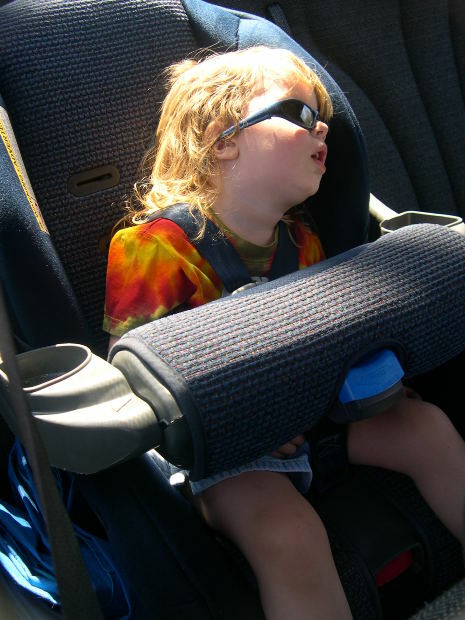 It’s seems like kids are in car seats forever. First the infant seats, then one or two other seats beyond that. Okay well maybe not forever, but it seems like it. Thankfully there’s another round of Free Car Seat Recycling at Target coming up. This is a great way to not only recycle any car seats you have but you can also get a coupon for 20% off another seat, stroller or select baby gear. **The coupon is eligible through Saturday, May 11, 2019. A great way to save the seats from the landfill, plus get an awesome coupon to save some money! This special deal is available April 22-May 4th. 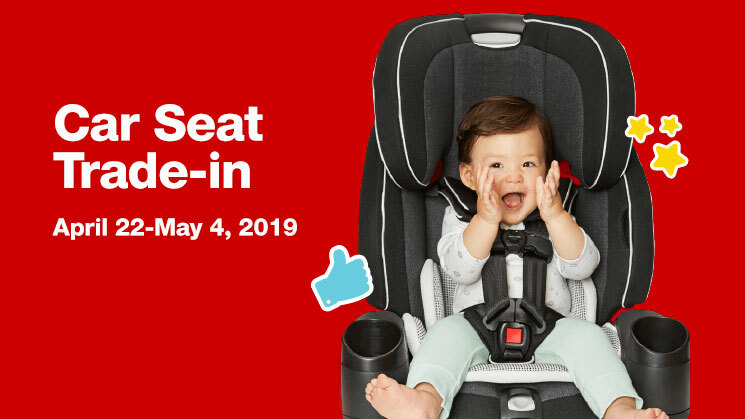 Mark your calendar: Target’s next car seat trade-in event is April 22-May 4, 2019! Most stores, including select small-format stores, are participating in the program. Find a drop-off box at a store near you. Target will accept and recycle all types of car seats, including infant seats, convertible seats, car seat bases, harness or booster car seats and car seats that are expired or damaged. Materials from the old car seats will be recycled by Target’s partner, Waste Management. You can find additional Free Car Seat Recycling at Target information here. Visit Wargo Nature Center in Lino Lakes this Saturday, April 20th from 12:30 – 3 pm for a FREE fun-filled family Earth Day celebration. Learn about Wargo’s unique offerings and activities, make your own earth art project to take home, listen to live music, explore the trails, enjoy light refreshments and the lovely spring weather! Also be sure to visit the Earth Day Fair, where local organizations will provide information and businesses will showcase earth-friendly products. Wargo Nature Center is located at 7701 Main Street in Lino Lakes. Goodwill Easter Seals Minnesota locations are having a Goodwill Earth Day Sale this Friday and Saturday, April 19th and 20th! 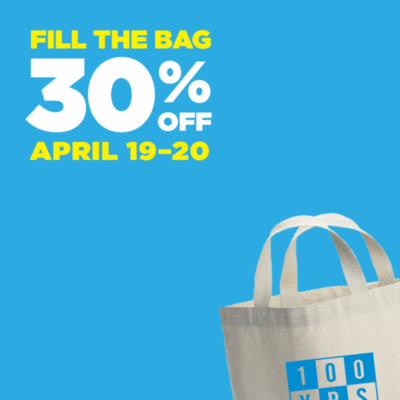 Fill one GESMN 100th birthday tote bag and you’ll receive 30% off everything you can fit into the bag (up to $100 purchase). If you don’t already have the Goodwill 100th Birthday Reusable Tote, it’s available in all stores for $1.99. Limit one bag per guest, per purchase, per visit. This sale is valid at the locations listed on this page (all over central and southern Minnesota). We’ve mentioned the Lakewood Cemetery a few times in the past. If you still haven’t had a chance to tour it, the Lakewood’s Annual Earth Day Celebration is another great opportunity to check it out. It takes place this Saturday and the tours are 30 minutes long. There’s a small fee for the event but the greenhouses are amazing and really worth a visit. 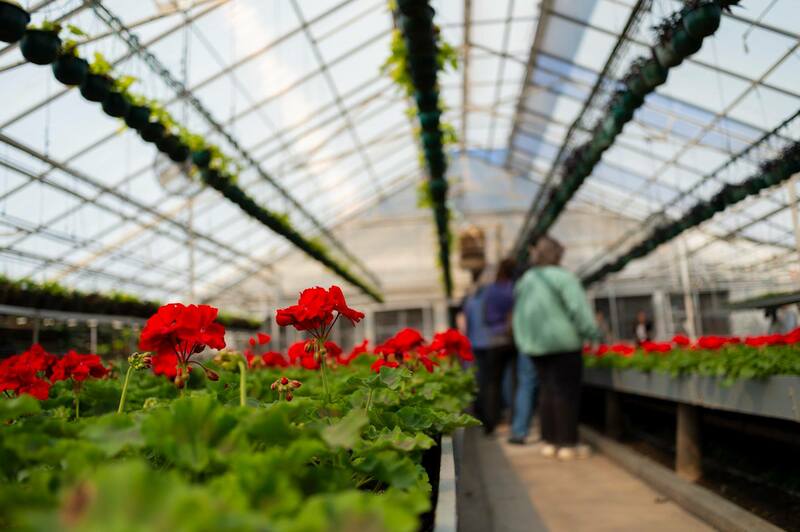 *Greenhouse tour tickets cost $10 in advance, $15 at the door. You can go here to purchase tickets in advance. Lakewood is a unique green space in the heart of the city — with 250 acres of ornate gardens, scenic vistas and endless knolls dotted with old-growth trees and rare and native plants — all open to the public. 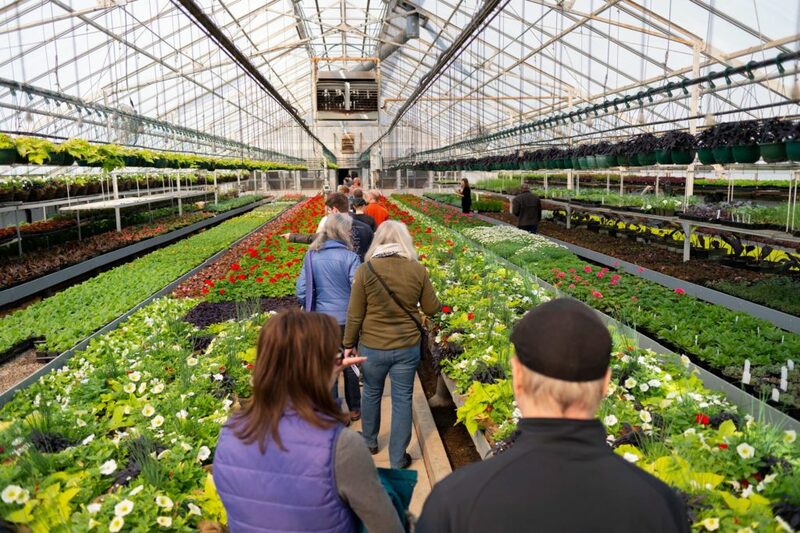 For our annual Earth Day Celebration, we invite you to visit our spacious grounds and take a behind-the-scenes tour of our historic greenhouses still operating today. On the tour, you’ll learn about Lakewood’s horticultural history, sustainable practices and see what we have in store for this spring’s flower beds. After the tour, put your own green thumb to work and plant a perennial to take home and plant in memory of a loved one. Make a day of it by taking a self-guided tour of the cemetery before or after your greenhouse tour. Self-guided brochures will be available at the event or by downloading the Lakewood mobile app. 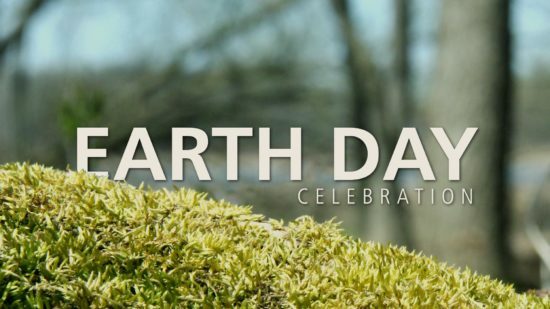 This Saturday, April 20th from 10 am – 2 pm, visit the Harriet Alexander Nature Center in Roseville for their free annual Earth Day Celebration! Step into spring with this annual celebration of the earth and the nature center’s 29th birthday. 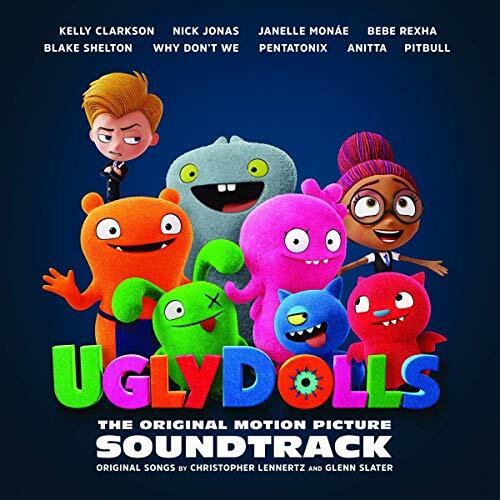 Enjoy free music and a showing of “The Lorax” movie. Visit their butterfly garden and plant a seed for butterflies. Top off the day with a piece of birthday cake! 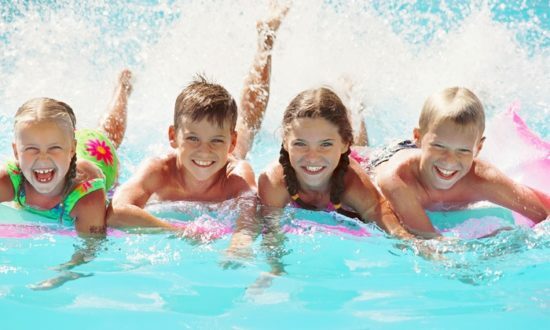 Keep yourself and your family cool on hot summer days and save up to 49% on season passes at Richfield Outdoor Pool when you go through Groupon! 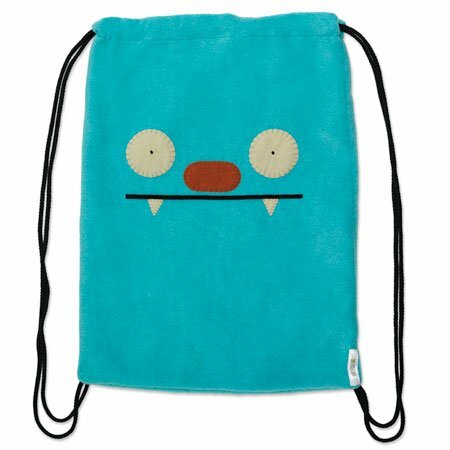 Plus, use the coupon code SAVE through 4/17 (that’s today!) to save an extra 15%, dropping your price to as low as $30.60 per pass! 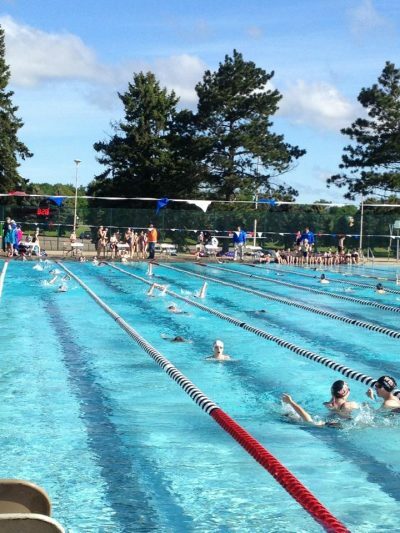 The Richfield Outdoor Pool has been cooling off its swimmers since 1961. The pool stretches 50 meters, inviting customers to swim laps in the two 25-yard lap lanes, play a few bouts of water volleyball, or reenact the adventures of the Venetian merchant traveller Marco Polo. There’s even a diving board and a double water slide. And the main pool is just one of the highlights. A children’s wading pool with a zero-depth entry awaits youngsters, and a concession stand complete with umbrella-covered tables gives folks a place to refuel. The pool will be open June 7 – August 25, 2019. Infants under 1 year are free. You can pick up your pass and tote from May 28 – June 6. Get your Groupon HERE! Bring the kids to Southtown Center in Bloomington starting today through Saturday. 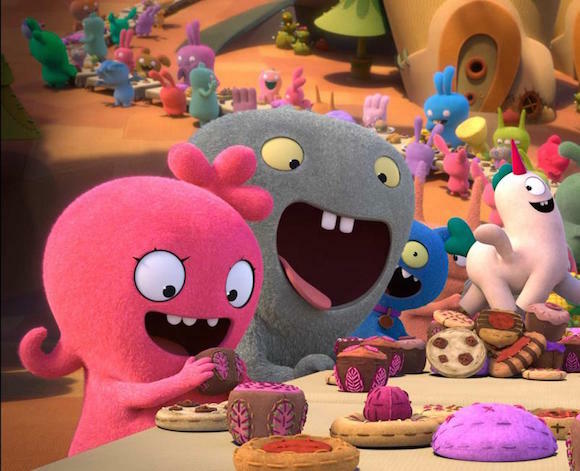 All sorts of fun for kids of all ages. Located near the former Toys “R” US store. You’ll find both indoor and outdoor fun. 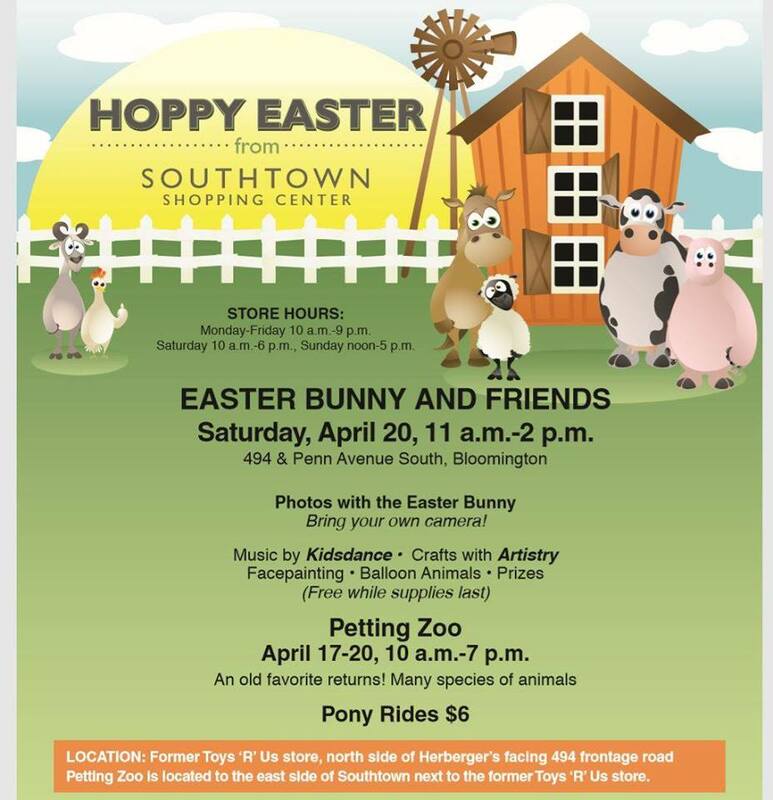 Southtown Shopping Center in Bloomington will host the Easter Bunny at a special party from 11:00 a.m. – 2:00 p.m., Saturday, April 20th. Kids can dance to music by “Kids Dance” Entertainment and DJ sounds! 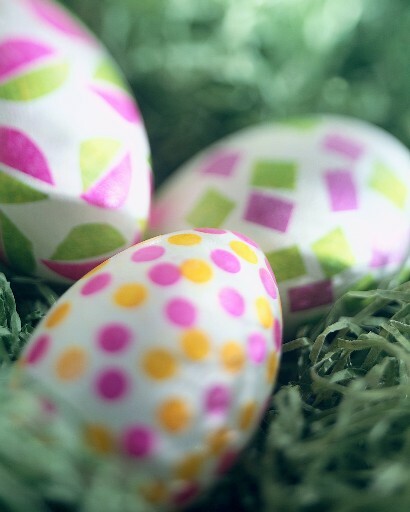 They also will enjoy facepainting, balloon animals, and crafts with Bloomingtons “Artistry”. There are prizes and free giveaways while supplies last. The Petting Zoo & Pony Ride activities will take place in the parking lot in front of the former Toys R’Us store (located North of Herberger’s facing the I-494). The Bunny will be located inside the former Toys R’Us space – look for the balloon arch! Parents are encouraged to bring their cameras to capture images of their families with the Easter Bunny and with the animals.